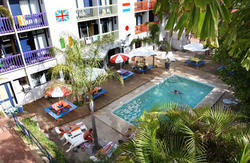 Coolibah Lodge is Perths leading backpackers budget accommodation in Western Australia. Situated just 5 minutes from the heart of Northbridge, a historical and exciting area of Perth with lots of restaurants and bars, furthermore our hostel is close enough to party the night away and still get a good night sleep. 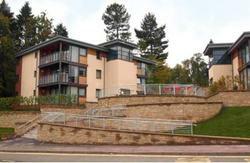 We offer a fun stay, lots of local characters and all the facilities you would expect from this great central location. Our backpackers accommodation, is accredited with the Tourism Council WA , has a friendly, relaxed atmosphere. With guests arriving from all over the world, our reputation is second to none. Allergy Alert: Please note this hostel has resident cats. William and Lake street next to Northbridge Hotel. 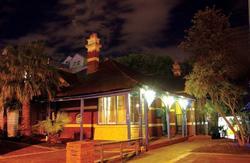 Coolibah Lodge Backpackers is literally around the corner from the best action in Perth. The airport has a shuttle service ($18) leaving hourly however it only has set stops the closest being WA Museum, Beaufort Street which is a 15min (1,2km) walk to the hostel. http://www.perthairportconnect.com.au. If your arrival is late at night or early in the morning I would recommend a taxi. Approximately $35 from the domestic airport and $45 from the international airport direct to the hostel.